I thought I share some photos of a dream project of mine that is nearing the finish line. 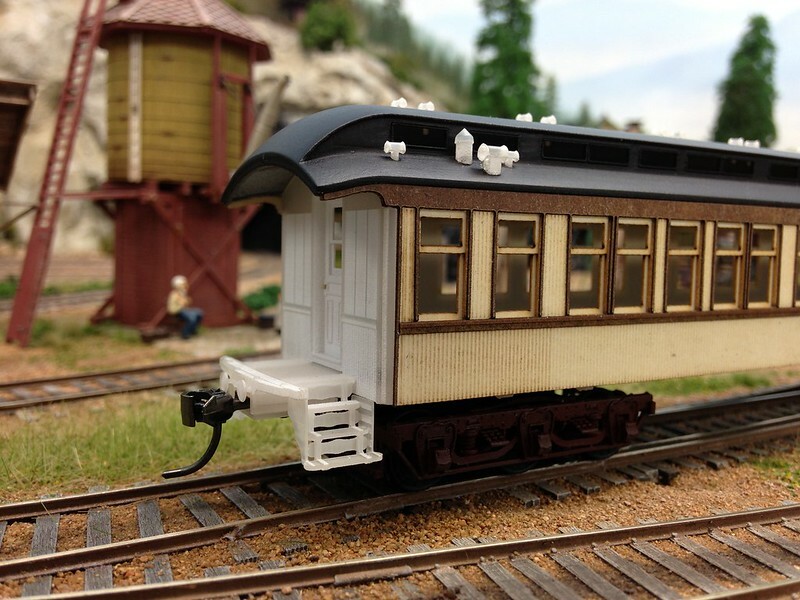 I have long time wanted to make a sleeping car. Not something fictional but with a real prototype connection. I found some Jackson & Sharp drawings on the Delaware heritage site and adapting those to the one I wanted to model the Woodruff sleeper Juniata from 1880-85. I chose the Juniata as there were many photos taken of that car which showed the car from both sides. The drawings and parts were made in Google Sketchup. The roof, ends, platforms and most of the other details were 3D printed. The sides and bottom were made up of laser cut layers that were glued together. On the filigree my modeling friend John Ott made the artwork. Without his fantastic help it would have taken me ages to do it, if I could have done it at all. So going against the usual Pullman green practice I painted the roof light yellow with ATSF Catwhisker yellow, the corner posts a very dark grey and the sides and ends in a dark brown color. The application of the decals didn�t go very well as somehow I got a lot of air bubbles beneath which was very hard to get rid of. I succeeded, by several applications of decal softener and pricking the bubbles, to get rid of most of them but some are still there. I have not before had these problems with the brand of decal paper I�m using and I suspect that they paper is beginning to get old as it is about 2 years ago I bought them. What is left is to weather the roof as it now is very stark light yellow which looks a little strange under the layout lights. 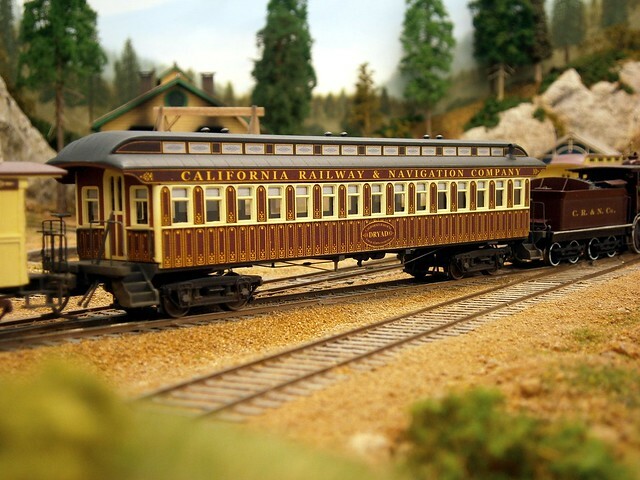 Overall I�m happy with the car although there are some things that didn�t come out right for example the handrail on the car which sit to low. I�m going to make another one and hopefully that one will be better. 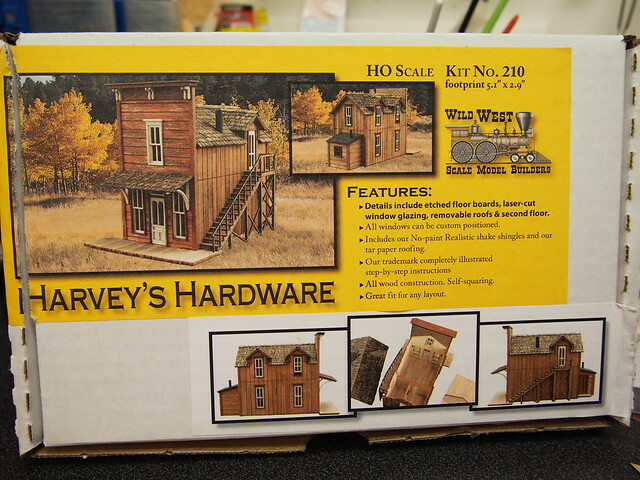 Apart from the above I have as a breather and for the fun of it I have started on a Wild West models house kit Harveys Hardware. As I usually builds everything as it just has been erected I thought this one should be from the older part of town and have an age of 15-20 years. When making the Carriage factory I tested various combinations of colors on the walls and trim and I tested now a variant Bob Harris suggested with black sashes and green window trim. 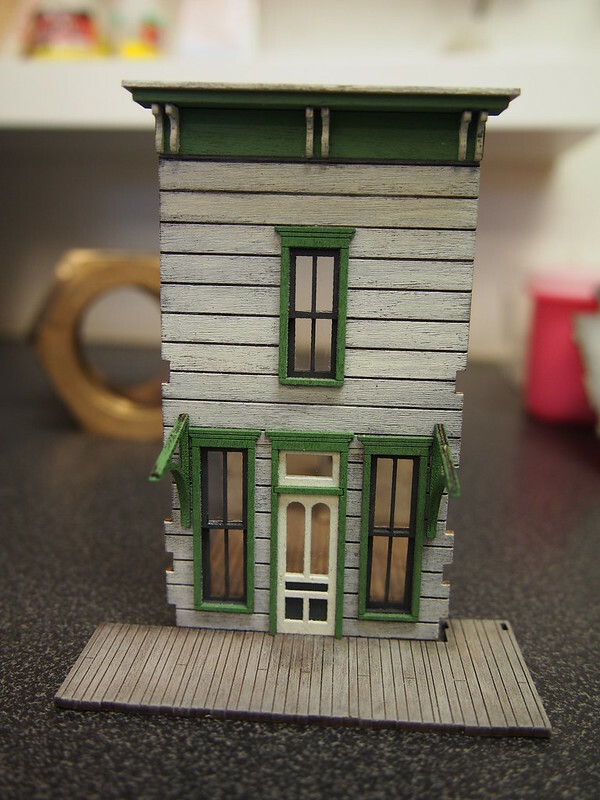 The front is painted off white and the sides have weathered siding. 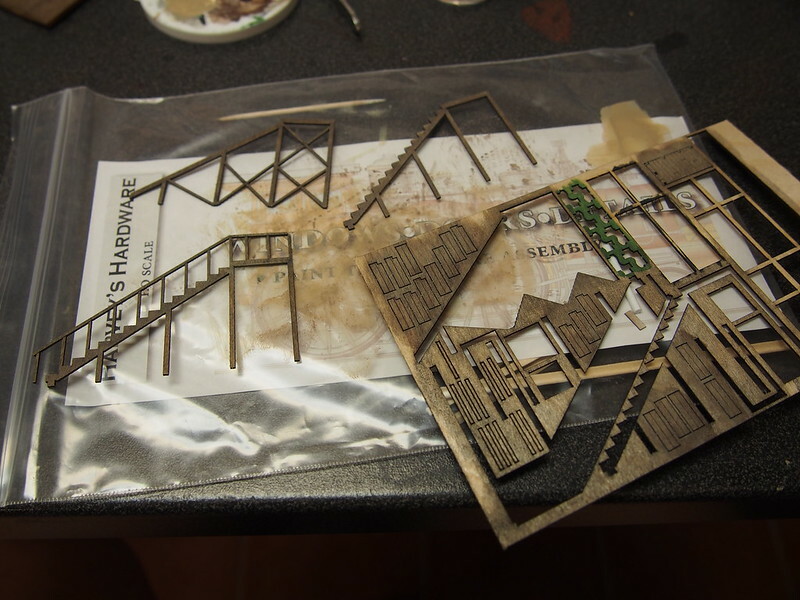 As I�m a bit new to weathering I tried a method I think I read here on the forum using first a AI solution and then after that dried various chalks which I rubbed in. After that I dry brushed on various hues of brown and grey gradually getting lighter until I was happy. During the dry brushing I also stressed the siding with a fine wire brush. Not sure I'm happy with how it came out though. On the scenery front not much has happened although some rock casting has been made. Must say that the Bradgon molds are great as they have such depth compared to the ones from Woodland Scenics I have used before. 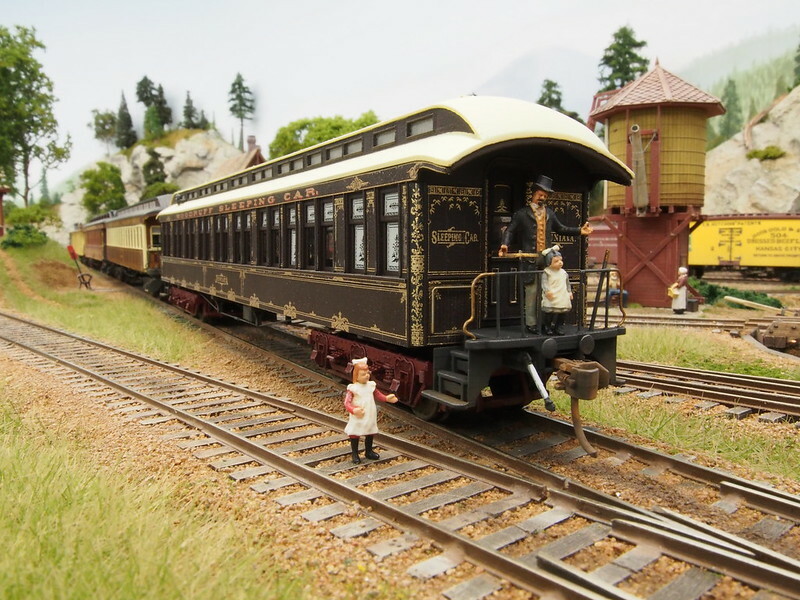 Hi H�kan,well let me be the first to congratulate you on the building of that very beautiful looking Woodruff sleeping car! You mentioned it being a dream project,well it's definitely a dream come true now. It's really fantastic looking,in everyway! 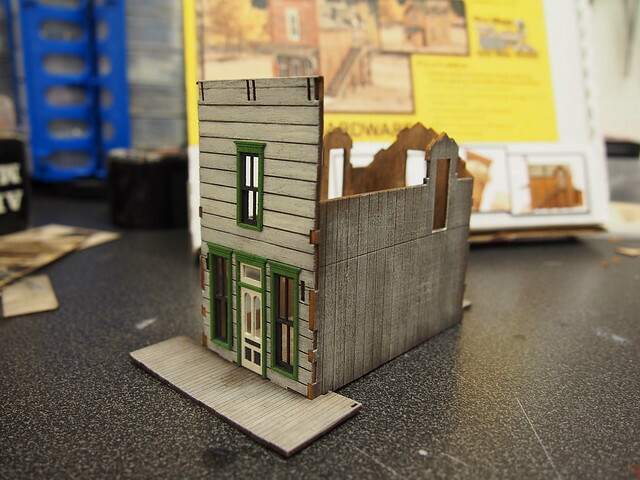 And I don't know why your not happy with the weathering of that little wooden shop. It's looks like it's been around for 20 years,to me. Great to see your work being posted here, again! H�kan its going to be real interesting to see what you do with the backdrop. 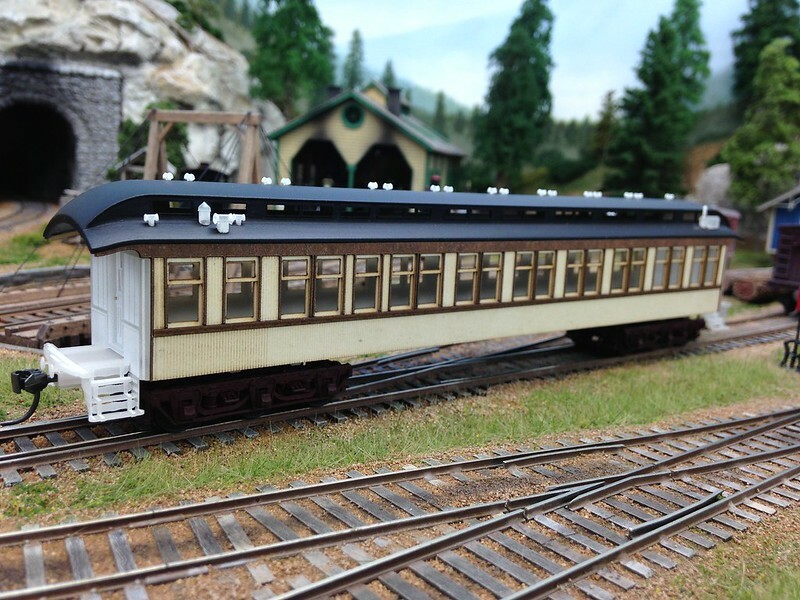 Pullman car looks fantastic.I've done all my mountain work with the bragdon molds they are great to work with if you can handle them loaded up. Thats going to be a neat little building, please do share lots of pictures. Thats a beauty H�kan !! Thank you Greg for the kind words, they mean a lot from a great modeler like you! Sometimes when the picture I have on what to achieve don't coincide with the result it can be a little frustrating. But practice hopefully makes better results. Thanks Lynn! 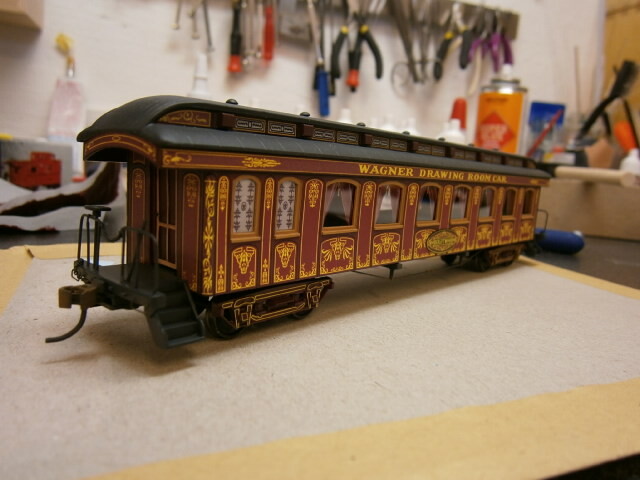 Funny you say Pullman car, at the time of its build it was made for the Woodruff Sleeping & Parlor Coach Company which along with Wagner and Mann where Pullmans fiercest competitors. 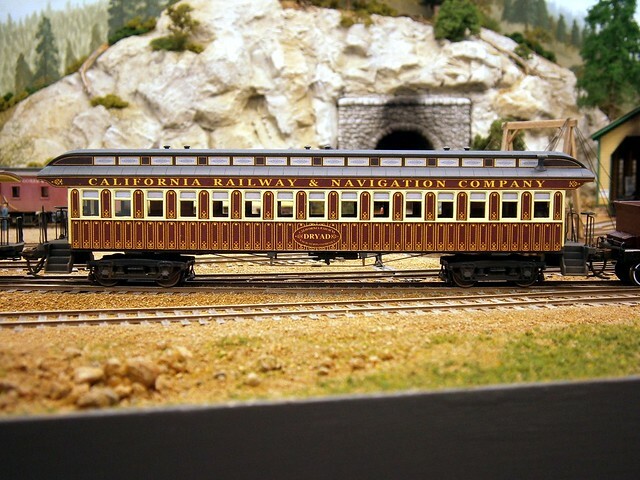 But at the time of my layout(1890s) the Woodruff company had been bought up and made a part of the Pullman empire. I must take moment to recommend (well I know I'm a geek in the extreme ) the old books by Lucius Beebe. The prose alone make them very entertaining to read but the subject can also be most interesting. I got the book San Francisco's Golden Era the other day with pictures and history on he city before the great Earthquake and found some very interesting pictures and material in it. I'll post a very cool picture from it tomorrow. Many thanks Dallas and Martin! I managed to post before I saw your answers. I'll show more pictures of the build and how it comes along. That is an ongoing discussion best left to the researchers. 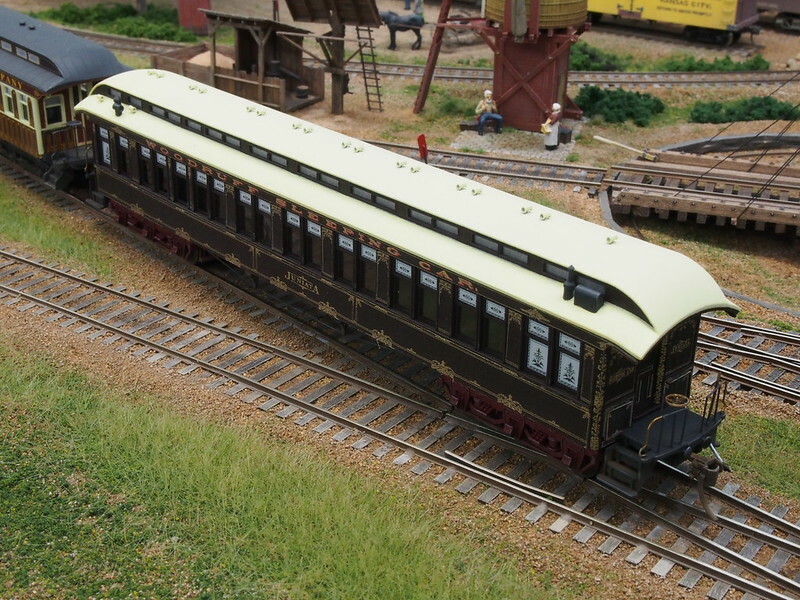 I have followed the discussion on the Early rail forum on this matter I can only say that if I would model a Pullman sleeper from the same period my version of it would not be green. 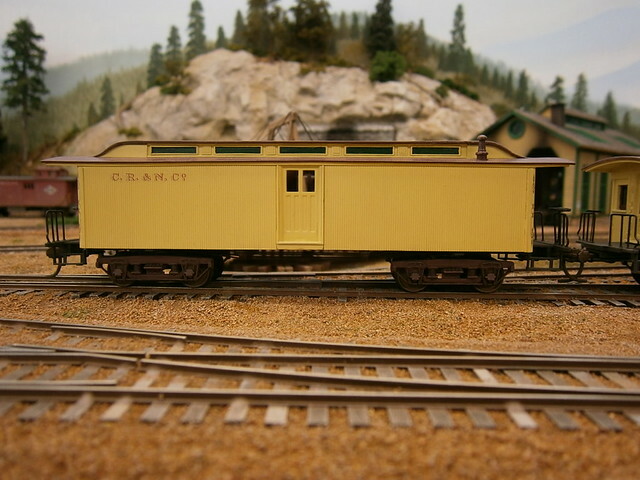 But then again this is not a model of a Pullman sleeper but of a Woodruff sleeper. And, your hardware store model looks like it's really coming along fine too. You are an exceptional craftsman! WOW!!! Excellent! The sleeper is stunning and well rooted historically. 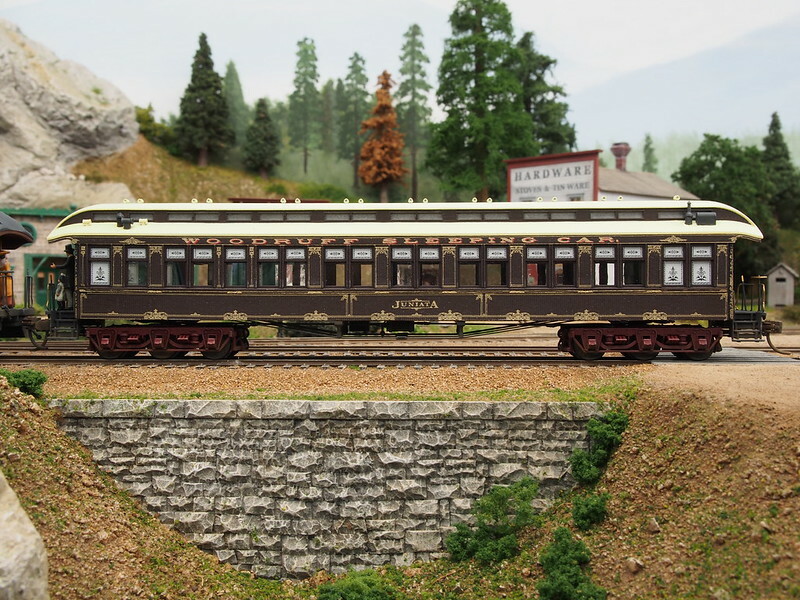 I also have been following the "discussion" of Pullman colors on the Earlyrail site and think you have drawn accurate conclusions. Besides the colors work. John art work is fabulous too. The car is splendid, H�kan. 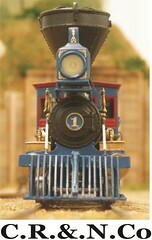 Looks like a precious gem that would have its place in a display case as well as on a model railroad. Nice work on the structure too. Many thanks Stu for the kind works. I have added some photos of the other cars below. 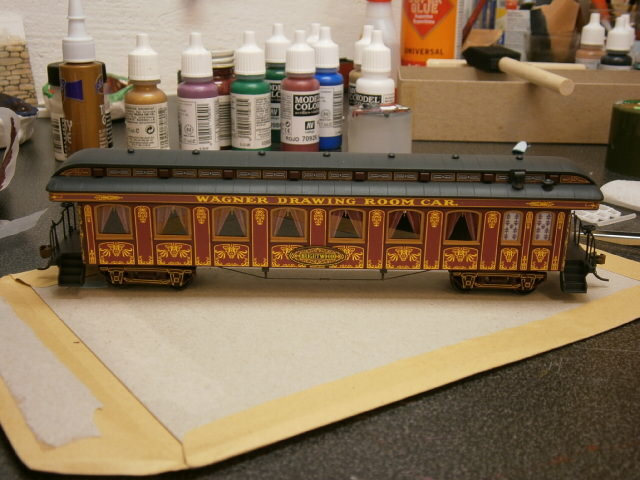 Now my drawing room car looks quite gaudy compared to the Woodruff sleeper. Thanks Bob, I�m happy you like it. It has been many hours at the computer and the workbench but finally it all is bearing fruit. Strangely enough the colors work quite well together. When I had painted the car and before I added the decals I thought this will never work. But with the gold filigree added it somehow does. 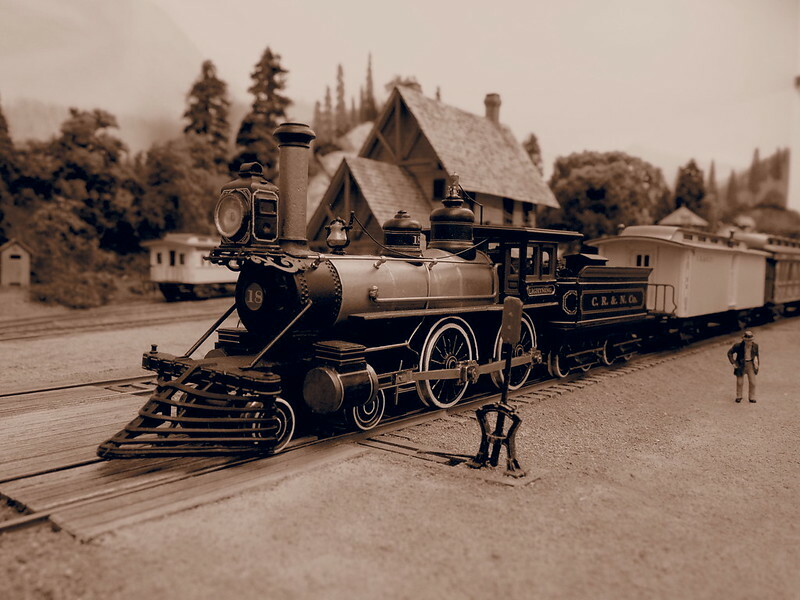 I have admired Johns work since I first saw his printed boxcars on Early rail. He is a real magician with computers and illustration work. Here are some more photos of the other cars. Today I got a moment working on the store. 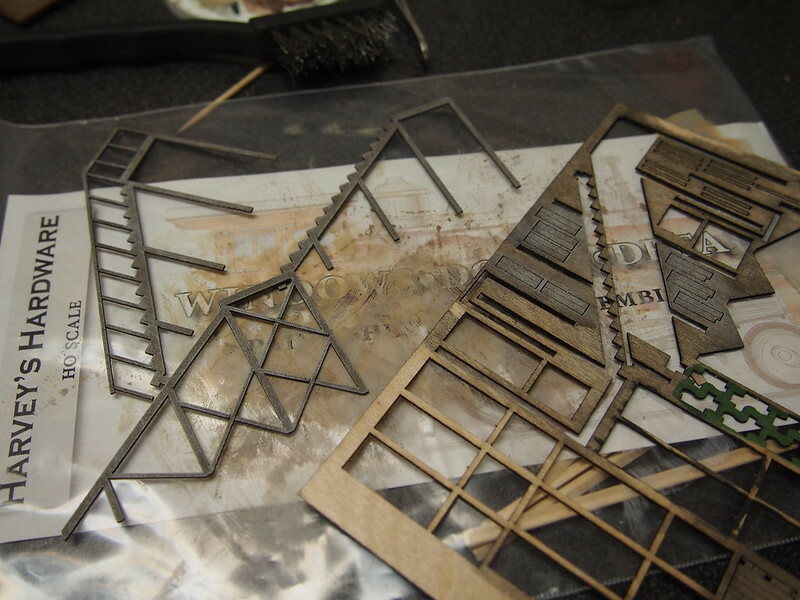 I weathered the structure for the stairs first with AI, then applied a wash with burnt umber. After that I dry brushed on earth colors moving on to grey and then finally some white. I used a wire brush on this also as it helps get rid of brush streaks from the dry brushing. I also assembled the store front and mounted it to the base. I think the colors looks quite good together and as Bob once mentioned earlier very Victorian. Yesterday our new camera arrived. After a lot of discussion with my better half on the necessity of buying a new system camera, price etcetera we finally settled for an Olympus Pen-PL5. I tried it out yesterday and it is great to finally being able to control the aperture and depth of field. It seems to be a great camera and easy to handle. I experimented and took a sepia picture of one of my locos.